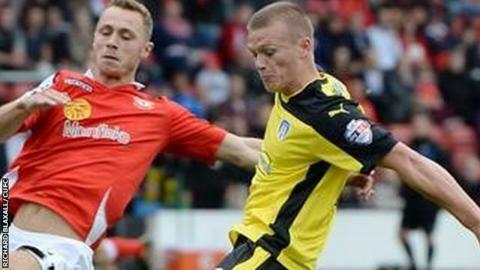 Colchester United have extended the loan deal of Cardiff striker Rhys Healey until the end of the season and QPR defender Cole Kpekawa by a month. Healey, 20, who will be unable to face his parent club in the FA Cup on 2 January, has four goals in 12 games since joining the U's in September. Kpekawa, 18, arrived at the League One side last month. He has featured four times and will now be at the Community Stadium until the Leyton Orient fixture on 24 January.